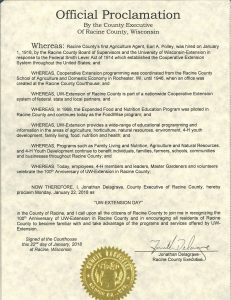 Racine County UW-Extension is a partnership among Racine County, UW-Extension, USDA, and local partners and volunteers. 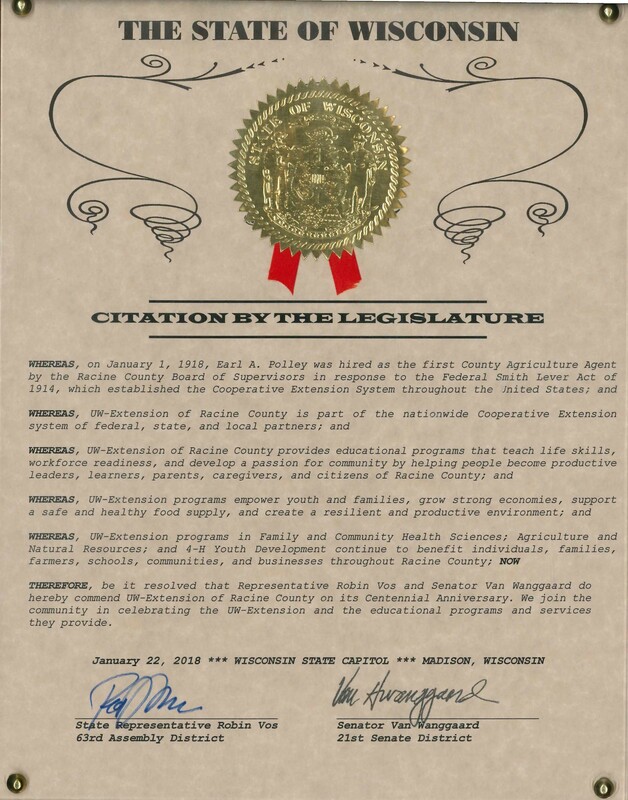 The annual reports provide an overview of a variety of projects and programs. 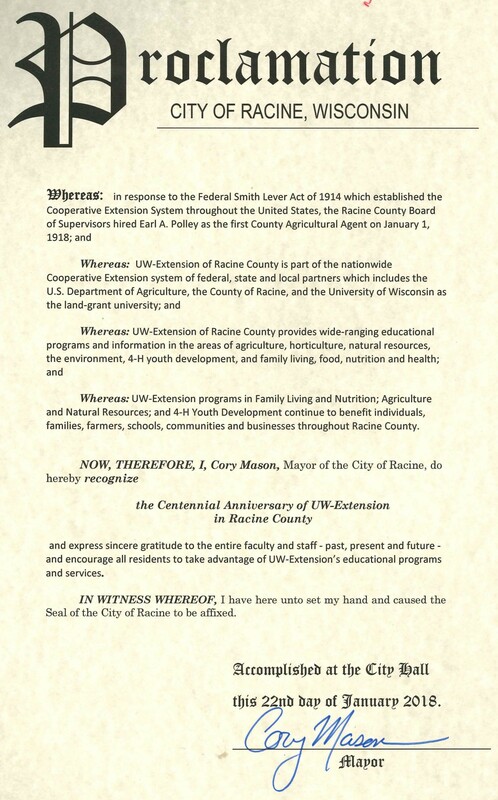 To learn more about this long-term partnership, go to Cooperative Extension. 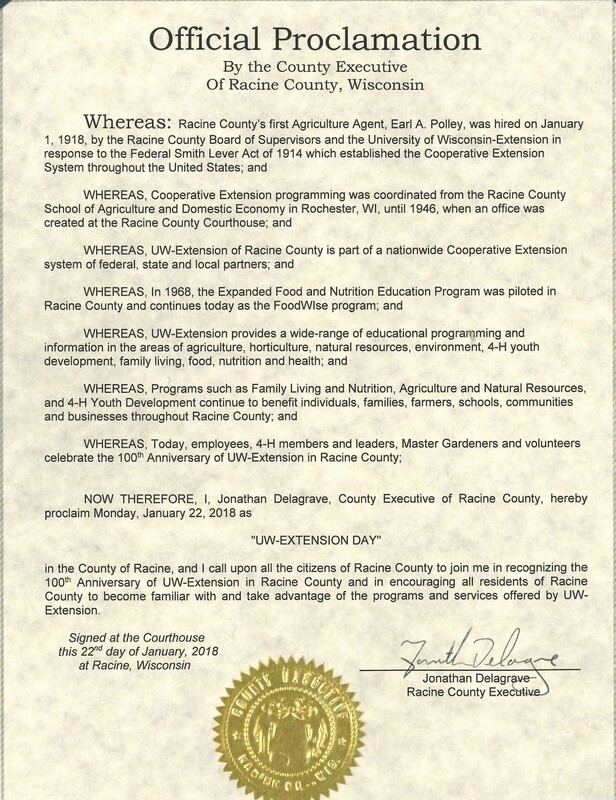 Racine County UW-Extension celebrated our 100th anniversary in 2018. 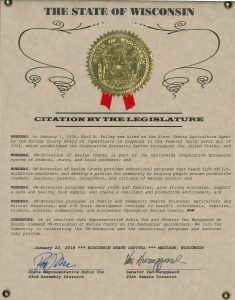 An Open House was held in January to commemorate the anniversary. 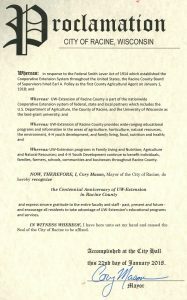 Click to view proclamations from the State of Wisconsin, Racine County, and City of Racine.